Hydrair manufacture a full range of heavy duty, high efficiency, air operated and hydraulic powered, double acting, positive displacement piston pumps. 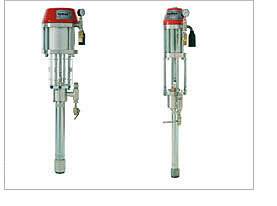 Specifically developed to pump today's high viscosity inks at high flow rates. Designed for reliability and ease of maintenance. 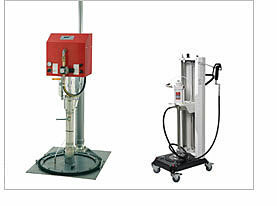 For applications pumping from drums or pails, pumps can be mounted onto a Hydrair pneumatic ram. The ram forces down the follower plate to ensure a constant feed of material to the pump inlet. Complete evacuation of the drum to minimize material waste and disposal issues. Ram lifts and holds the pump out of the drum for efficient and safe drum exchanges. 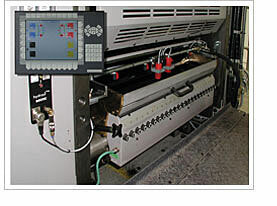 Hydrair ink controllers incorporate the latest state of the art technology for automatic ink level control on commercial and newspaper presses of all sizes. Modular concept; choose an affordable system and later enhance the system. Capacitive and ultrasonic sensors to measure ink level. Ink storage and consumption monitoring. 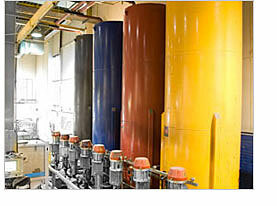 Remote tank level monitoring by ink supplier. 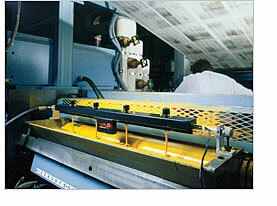 Ink fountain spreader bars are engineered with positive location brackets to suit all presses. Adjustable ink flow control nozzles to balance feed across the duct. Spreader bars can be easily detached for cleaning and colour changeovers. Bespoke ultrasonic or capacitive ink level sensors provide automatic multi-switch-point ink level control. Sensors can be readily networked to expand the system to incorporate different operator interfaces. Hydrair can design centralised or independent ink storage pumping facilities and have a solution to pump from any ink storage container, from open top drums, to the largest static bulk ink tank. Ink bulk tank offset fill station. Static bulk ink tank room equipment and controls. Drum and IBC empty alarm system. 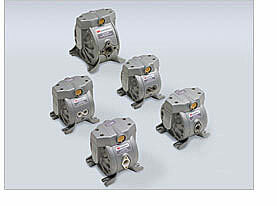 Directflo® air operated diaphragm pumps are designed to pump low and medium viscosity fluids, such as: flexographic inks, gravure inks, blanket wash, solvents, adhesive, varnish, coatings and UV coatings. 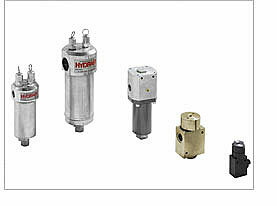 Reduced compressed air consumption when operating and no air leaks when in stand-by. Lubricant free and non stalling air motor. Increased diaphragm and shaft life. Ink flow meters and consumption monitoring. Load cells and remote tank monitoring. Ink on/off control spool valves. Ink hoses with quick couplings.